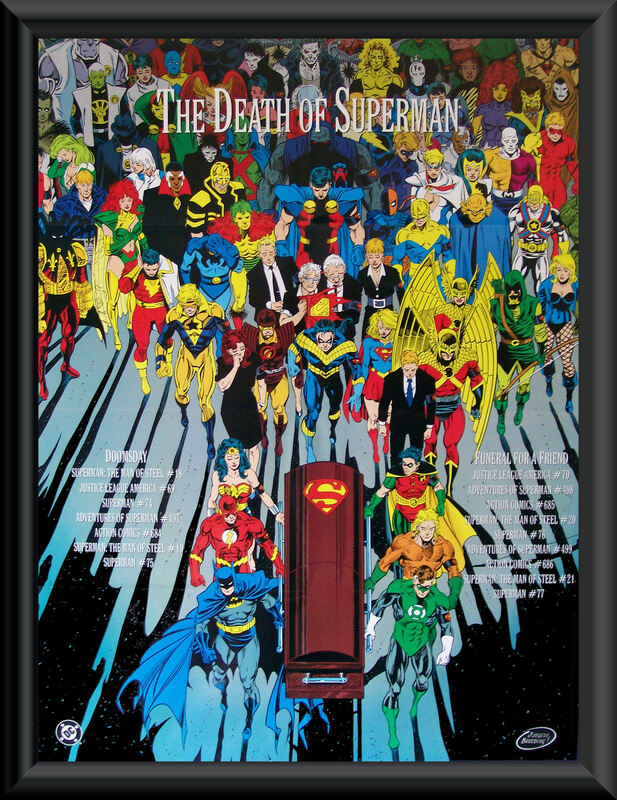 There was always a ghoulish element to DC’s best-sellingest of best-selling arcs, “The Death of Superman.” A somewhat craven ploy to boost sales and garner mainstream media attention, it certainly delivered on both those counts, and big-time — the number of black-bagged unopened comics you still find in bins is a testament to that. But the impulse to drench a beloved American icon in his own blood, and plaster images of his shattered, lifeless body all over GOTTA BUY THIS marketing? Isn’t there a snuff video quality to that, a Faces of Death perversion in pimping the loss of life (fictional, granted) in such a way, knowing months in advance that big blue is going to bite it? The bare bones explanatory text on the back offers even less. There are only so many ways that you can embellish repeated fistfights, after all. Just like the Doomsday-Superman deathmatch had sequels, so did this set. For the Reign of the Superman and the return of the real thing, Skybox pumped out a similar product, though it would have less allure than its Death predecessor as the years went by. Unopened Doomsday boxes and complete sets with all the chase fixings fetch more than other mass-produced products from DC, like the two Batman-less Cosmic sets. They’re neither all that attractive or all that impressive content-wise, but thanks to their association with the biggest publishing event the comic book industry ever saw, they pick up collectability almost by osmosis. Superman probably deserved a better “end” than he received, and he probably deserved a better bunch of cards to commemorate it, but this is what he got. And what we got too. ← The Blog into Mystery 2014 Year-End Three Paragraph Spectacular!